Photo: Thanks to profitability at our farmland, our program provides this young scholar with everything she needs to attend a local school. We are happy to report that due to recent improvements at our farmland enterprise — a new fishery, a second fishery pond for fingerlings, and a new storm-proof hen house — we have yielded better results in our production levels. Among the things that the farmland’s profits support is our children’s outreach program, which is now helping to put 60 children in school. They receive scholarships in the form of school supplies, uniforms, backpacks, and whatever else they need to meet the local school enrollment requirements. All of the children come from extremely poor families who cannot afford these basic needs to get their children into school. The children and their parents overflow with joy for the provision that meets their needs. We’re also excited that the egg production at our hen house has reached a recent peak of around 2,800 eggs per month. In addition, we yield an average of 500 bananas per month, a number which improved recently due to favorable weather conditions. To round out the good news, the average monthly yield from the fishery is 48 kilos of fish. The profits from our farmland enable us to serve over 1,000 meals to impoverished children monthly. We recently adjusted the children’s diets to include delicious chicken and rice, which provides excellent nutrition and gives the children strength. 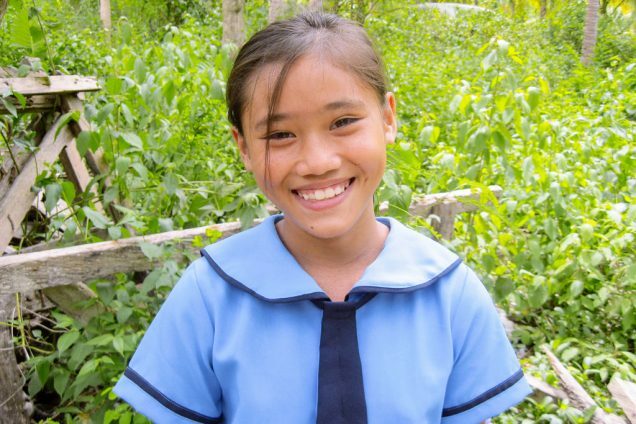 The profits from our expanded fishery as well as our on-campus vegetable gardens, our hen house, and our banana grove are enabling us to extend our programs to the children. 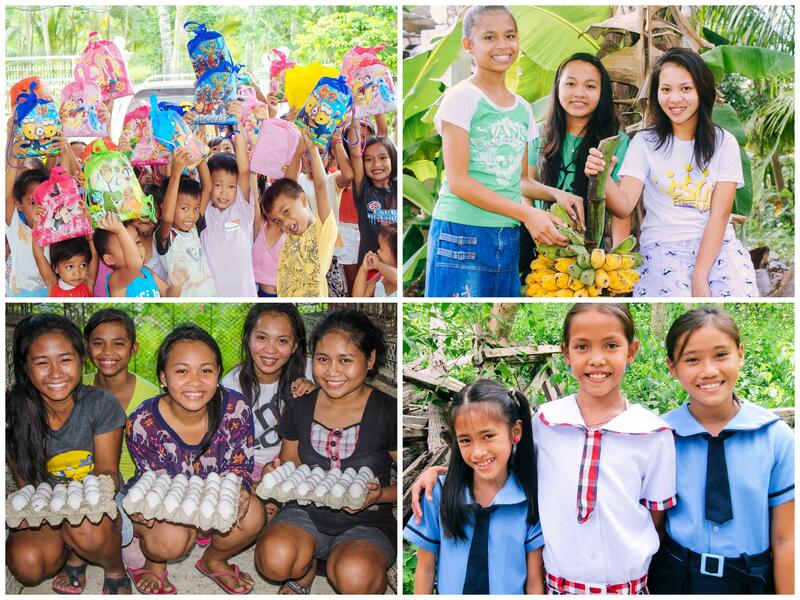 All of these agricultural projects are located on our existing campus on Cebu, where our aid to the community is targeted to students recovering from child labor or abusive situations with a weekly outreach to children in various locations around the island. These weekly outreaches usually take place on a Saturday, and average about 100 children in attendance. The program is styled after a VBS day camp feel, but also includes dental hygiene training and distribution of toothbrushes and toothpaste — on the island, 3 out of 4 children suffer from tooth decay by the age of 6. This story reflects the heart of the mission of Peace Gospel: empowering local leadership to reach their native people, and to help in breaking the vicious cycle of extreme poverty. It’s a sustainable approach that gives our native teams a tangible experience of ownership in their work as opposed to simply waiting for handouts from abroad.